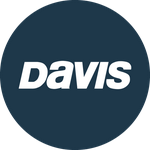 Davis Instruments Support, FAQs and Troubleshooting - Can I log trips as personal or business with CarChip? All Categories ​>​ FAQ ​>​ Vehicle Monitoring ​>​ Can I log trips as personal or business with CarChip? Can I log trips as personal or business with CarChip? CarChip itself does not distinguish between personal or business trips. To record your business trips, plug in CarChip when driving for business purposes. Then download your business trip data into a database where you can log all your business-related trips. Can I get real time data with CarChip? Can I connect my CarChip to a Mac? How do I install CarChip in my car?